Real Madrid have placed an £88m price tag on Gareth Bale, and are happy to let the Welshman leave this summer if someone meets the evaluation. Bale joined Real Madrid from Tottenham in 2013 for a staggering fee of £85m, and since moving to the Spanish capital, he has taken his level up a notch, and is now regarded as one of the finest footballers of his generation. 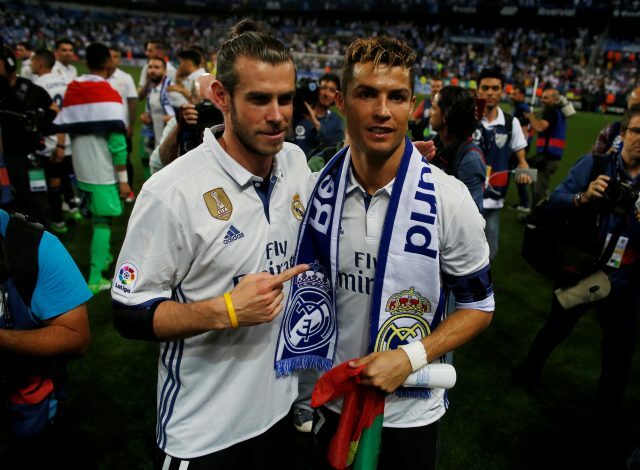 In four full seasons at the club, the 27-year-old has scored 67 goals in 149 appearances, and in addition to his goal-scoring exploits, Bale has won the Champions League title thrice, along with the La Liga, Copa Del Rey, the Super Cup, and the Club World Cup. Despite proving his level best, Bale’s last two campaigns have been severely affected by the spat of injuries that have restricted his role in Madrid’s first team set-up. Last season has been, by far, the worst with regards to injuries for the attacking forward, as he managed just 26 appearances for the club. After enduring an injury-hit 2016-17 season, Spanish outlet Diario Gol claim that Bale’s chapter at Bernabeu could come to an end, as Los Blancos have decided to part with the former Southampton graduate if someone stumps up an £88m fee. The report also claims that Real are plotting to use this fee to sign Monaco’s teenage sensation Kylian Mbappe. The La Liga giants have been tracking the Frenchman since he was 14 years old, and Zinedine Zidane wants to make the youngster a part of the forward line ahead of the next season. However, there is no denying that Los Blancos have to sell one of their star players to sign the talented starlet this summer. Real Madrid President Florentino Perez reportedly expected Alvaro Morata’s transfer to Man Utd to free up the funds, but this possibility has gone down the drain, as Mourinho called off the pursuit for the Spanish striker on Wednesday. With the Morata deal having fallen through, it will be interesting to see whether the Red Devils would make attempts to sign Gareth Bale, who has been a long-term target for them.